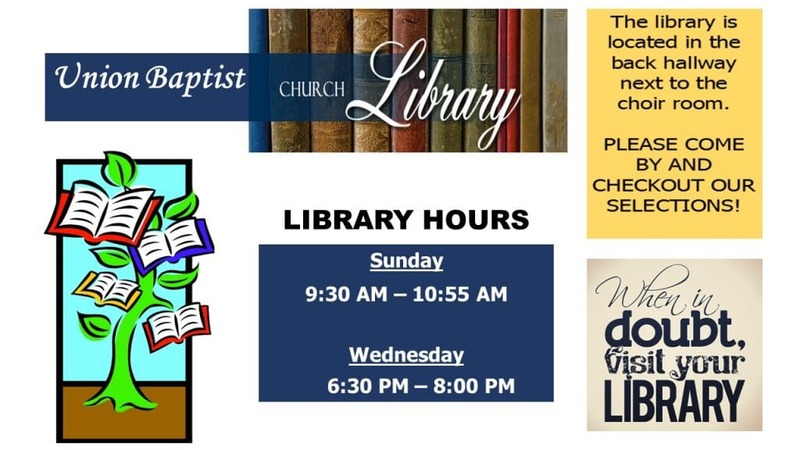 It is the Union Baptist Church Library’s mission to provide materials and services that support the ministries of the church and help individuals to grow in their faith and Christian living. The most common and preferred gifts are monies for the purchase of new materials or furnishings. The donor and library staff may determine specific needs regarding the choice of gift. All pre-owned gifts must meet the same standards as purchased items. Items may be added to our collection, disbursed to mission locations, or to persons needing resources. Unless specified, these donations will not be returned to the donor. No provisional gifts will be accepted.